Rather than punish your cat for what NOT to do, create a road map that clearly defines what TO do. This doesn’t just mean placing a scratching post in the room to magically get your cat to stop scratching the furniture. 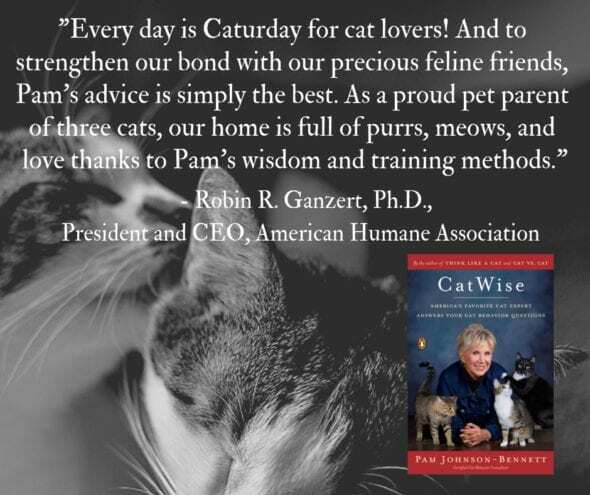 What it means is to create an effective “think like a cat” roadmap. 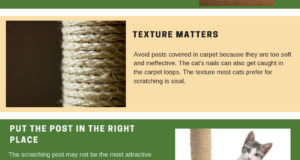 The scratching post you put out needs to meet the cat’s needs (tall, sturdy, covered in an appealing material, placed in a good location) in order to have the furniture become less appealing. 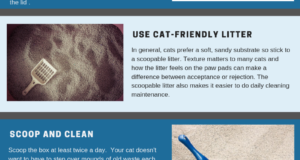 If your cat is eliminating outside of the litter box because the box is not being kept clean, swatting the cat isn’t going to solve the problem – cleaning the litter box more often is the answer. Set the cat up to succeed by providing a better option when it comes to the behavior you want displayed. How would you feel if your boss kept telling you what NOT to do and focused on what you do wrong and never encouraged you by showing you what TO do and acknowledging what you’ve done right? If you’ve punished your cat or if he has experienced stress and anxiety due to the behavior issue, this is the time to work on rebuilding the bond of trust. You may not feel like playing with him, creating fun games, petting him or doing things to instill calmness and security but that’s exactly what you should do. Believe it or not, any behavior problem he’s experiencing is already causing him lots of stress. He needs to know you are a source of security and comfort. If he doesn’t have that from you he’ll distance himself even more. Even if your cat has just urinated on your extremely expensive sofa, don’t panic or your little furry emotional sponge will pick up on your stress. If he’s stressed out enough about something to pee on the sofa and then he sees you acting like a raging maniac, it will only confirm in his head that the bottom has really fallen out of the world as he knows it. This will elevate his anxiety level and I can pretty much guarantee you that it will then increase the chances of even more behavior problems. Panicking and getting upset about the soiled sofa won’t do anything about getting the stain out. It will only add more damage to an already tense situation. Let your cat know when he has done something right. Again, it comes down to creating that effective road map. No matter how small of a step he may make, if it’s a step in the right direction, reward him with praise (a treat couldn’t hurt either). Some behavior problems are beyond the cat parent’s ability. If the problem is too serious, dangerous or you simply don’t feel equipped to figure it out yourself, seek qualified professional help. 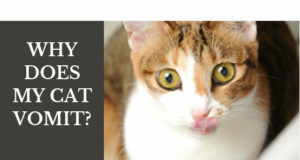 Contact your veterinarian for a referral to a cat behavior expert. There are many people on the internet who claim to be experts and whisperers but they lack the ethics, qualifications and experience. Make sure the expert you choose has the credentials and experience because an unqualified person could make the problem worse. If you’re in doubt, ask your veterinarian for a referral to a veterinary behaviorist, certified applied animal behaviorist or a certified cat behavior consultant. Your cat is a member of the family and one who deserves your time and attention to solving whatever is bothering him. Working on a behavior problem isn’t a magical overnight fix and it will require a commitment on your part but the pay-off is well worth it. Too many cats end up in shelters because families don’t realize that behavior modification can change unwanted behavior problems. When we bring a cat into our lives we take on the commitment of making sure we’ve provided what that precious animal needs to thrive and be happy. Fortunately, you’re not alone on this journey. There are so many resources available and the number of qualified behavior professionals throughout the world is increasing every year.